The Mixed Choir of the Stanisław Moniuszko School Music Complex in Łódź was established in 2000. It has been directed since inception by dr Dawid Ber, with Mr Patryk Kobylarczyk filling the position of assistant conductor since 2011. The ensemble performs both a capella works and positions in the repertoire of major sacred works, as well as music from musicals and gospel. Instrumental and vocal works were sung by the Choir together with the Symphony Orchestra of the Łódź Philharmonic and the Symphony Orchestra of the Stanisław Moniuszko School Music Complex in Łódź at concerts held at the Artur Rubinstein Philharmonic in Łódź during cycles such as “Młodzi w Łodzi” [Youth in Łódź]. The Choir has also sung in churches and on various concert stages in Łódź. Some of these performances were recorded and released by the school. The Choir was conducted by Krzysztof Penderecki, Marek Pijarowski, Tadeusz Wojciechowski, Barbara Sobolczyk, Andrzej Straszyński, Tadeusz Wicherek, Grzegorz Wierus, Dawid Ber and Patryk Kobylarczyk. The Choir performed at the Eurotreff Musik Festival in 2004 and 2005 in Wehr and Biberach in Germany and in Reggio Emilia, Italy in May 2009, together with the city orchestra. In November and December 2004 the ensemble recorded a CD with its latest repertoire at the time. The Choir is a laureate of many festivals: 1st prize at the 6th “Cantio Lodziensis” National Choir Festival (2004), 1st prize at the 1st Regional Łódź Region Music School Choir Auditions in Skierniewice (2005), 1st prize at the 3rd National Music School Choir Festival in Ostrów Wielkopolski (2006), 1st prize at the 1st Regional Łódź Region Music School Choir Auditions in Skierniewice (2007), 1st prize at the 4th “Bel Canto” National Music School Choir Festival in Ostrów Wielkopolski (2008), Grand Prix at the 12th “Cantate Deo” International Choir Festival in Rzeszów (2008), 1st prize at the 11th “Cantio Lodziensis” National Choir Festival (2008) and the Grand Prix at the 3rd Regional Łódź Region Music School Choir Auditions in Skierniewice (2009). In February 2005 the Choir performed at a concert opening the 90th anniversary year celebrations of the Łódź Philharmonic. In 2010 and 2011 the Choir worked together with the choir and orchestra of the Academy of Music in Łódź, performing sacred works by A. Bruckner and F. Nowowiejski. Patryk Kobylarczyk graduated from the Grażyna and Kiejstut Bacewicz Academy of Music in Łódź, specialising in Artistic Education in the conducting class of dr Dawid Ber. In 2010 he commenced studies in the Post-graduate Choirmaster Program at the Feliks Nowowiejski Academy of Music in Bydgoszcz. He is the co-founder and active member of the “Vivid Singers” Chamber Choir. 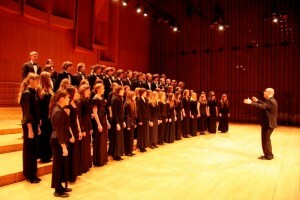 The Choir was established in 2005 and has won numerous awards at choir competitions and festivals in Poland and abroad (including the Czech Republic and Austria). The Choir has been working together with the choir of the Artur Rubinstein Łódź Philharmonic. In 2009-2010 he filled the role of conductor’s assistant in the Choir of the “Lutnia” Singers’ Association in Zgierz, moving on to take over the position of choir conductor in September 2010. He has led the mixed choir at the Mikołaj Kopernik High School no. 1 in Łódź since 2010. He is also in charge of the guitar class at the Communty Music Centre at the Tadeusz Wroński Primary and Secondary State Music School in Tomaszów Mazowiecki . 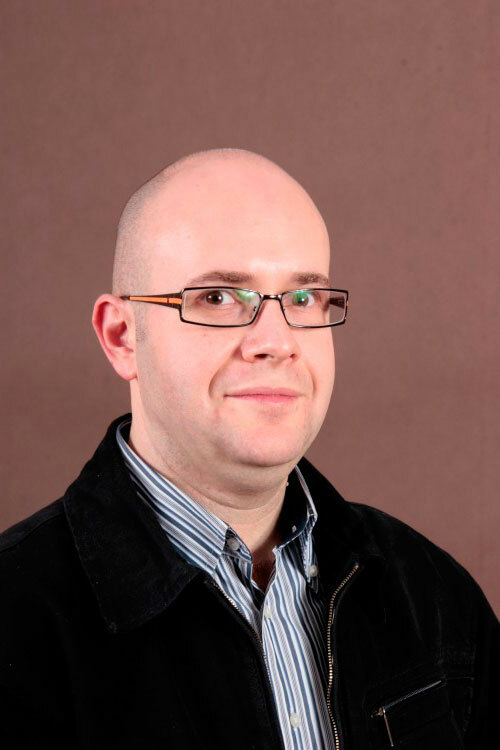 In September 2011 Patryk Kobylarczyk became the conductor of the Mixed Choir in the Stanisław Moniuszko Music School Complex in Łódź and of the children’s and mixed choirs at the Primary and Secondary State Music School in Pabianice. Together with the ensembles under his direction, he has several dozen concerts to his credit, a CD recording of Christmas carols titled Radość dziś nastała [Joy has Come Today] with the “Lutnia” Singers’ Association and several prizes at national choir festivals and competitions in Rzeszów, Gniezno, Barczewo and Chełmno and at the International Choir Competition in Namestovo, Slovakia. Dawid Ber graduated in Music Theory in the class of Professor Franciszek Wesołowski and completed the Vocal and Vocal-Instrumental Ensemble Direction Program at the Academy of Music in Łódź (1998). In 2000 he completed with honours the Post-graduate Choirmaster Study Program at the Feliks Nowowiejski Academy of Music in Bydgoszcz. In 2005 he earned his Ph.D. title in conducting at the Fryderyk Chopin Academy of Music in Warsaw. 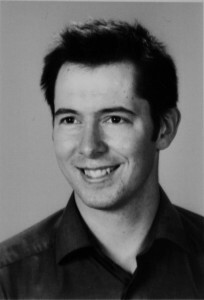 In 1995-1999 he was engaged full time in the Artur Rubinstein Łódź Philharmonic Choir. In 1996-1998 he taught and conducted at the Henryk Wieniawski General Primary and Secondary Music School in Łódź. He has continued teaching since 1998 at the Stanisław Moniuszko Music School Complex in Łódź. He was also a teacher at High school no. 6 in Łódź, the State Primary and Secondary Music School in Piotrków Trybunalski and in the Private Secondary Music School at the Polish Music Institute. In 2004–2011 Ber was the vice-principal in the Stanisław Moniuszko State Music School Complex in Łódź. Since 2008 he has been employed at the Faculty of Artistic Education at the Grażyna and Kiejstut Bacewicz Academy of Music in Łódź, where he is an assistant lecturer in the conducting class. He has led the mixed choir of the Christian Baptist Church in Łódź without interruption since 1992. In 1996 he established and went on to lead for eight years the “Alla Camera” Vocal Ensemble. Also in 1996 he became the artistic director and conductor of the “Lutnia” Singers’ Association in Zgierz, which he continues to lead to date. In 2002–2005 he led the Teachers’ Choir in Łódź. He is the conductor of the “Vivid Singers” Chamber Choir since 2005. In the 2010/2011 season he worked together with the Mixed Choir of the Artur Rubinstein Łódź Philharmonic. In 2011 he took over the post of choir master of the Łódź Philharmonic Choir. Together with his choirs Ber received a number of awards and distinctions at numerous festivals and competitions in Poland and abroad. He conducted many concerts in Poland, Germany, the Netherlands, Austria, Belgium, Denmark, the Czech Republic, Italy and Lithuania.